Jack Butala: Welcome to our show today. Today Jill and I, in this episode, have a treat for our listeners. Jack Butala: We’re going to talk with Mike Marshall, land use zoning career expert. For the last 12 years of Mike’s professional career, his been in the field of land use and zoning in jurisdictions that involve California and Texas. He’s managed a variety of projects from large scale residential subdivision to several hundred thousand square feet of commercial developments. Jill DeWit: I know. I’m excited. It’s [crosstalk 00:00:43]cool. Jack Butala: My biggest challenge with Mike today is going to be keep this at less than an hour. His early beginning zone career journey in the land investing and believes he can bring a unique experience, and some value to the group. Mike, welcome. Mike Marshall: Thank you so much. I’m very happy to be here with you guys. I appreciate the opportunity. Jack Butala: Absolutely. Tell us what you’re working on right now. Mike Marshall: Like you mentioned, I’ve worked in jurisdictions in both Texas and California so I’m still working in a full-time capacity in a local planning and zoning department, but on the side I’m also working on some land development projects. Some multi-family project as well as a smaller residential subdivision, so kind of doing project management on that side. I’m kind of transitioning out of that, and as you mentioned kind of moving towards my own land investment company, but also at the same time what I do is I’ll help out different investors, try to understand what they can do with their property. What can I do with this piece of land? As you mentioned, it’s “What do I have to begin with?” And “what can I get?” And ultimately what do I need to do to be able to get that? Jack Butala: That’s really, really, really interesting, so I’m going to cut right to the chase. I’m going to probably ask what most of our members are thinking right now, “Well, hell I have 640 acres in Texas, what can I do with it? Can I subdivide it? Can I get it down to five acres?” So can you help with something like that? Mike Marshall: Yeah, I do that kind of thing a lot. In general, the unfortunate answer is that it really depends. It depends on the jurisdiction you’re in, it depends what their requirements are, and ultimately what the zoning is. So, if you’re looking at zoning, you’re looking at wanting to subdivide a property, you have to look at things like, “what’s my minimum lot size requirement?” If it’s a residentially-zoned property, which is I know what we tend to look at more often. What’s the density requirement? How many units can I get on an acre of land? What are my requirements as far as roadway frontage? What about infrastructure? So it kind of goes on and on in terms of the development side of things, but just from a pure zoning perspective, it’s going to be a situation of, what is it in terms of the number of units I can get on the property? That’s going to be dependent on each jurisdiction. As you move out into more rural areas it’s going to tend to be larger lot sizes of course, and lower density. Jack Butala: So you know our whole group is … We try to find rural, inexpensive property that’s almost 90 percent of the time it’s in a county jurisdiction, it’s not in an incorporated area at all. So I would assume that’s easier, right? Mike Marshall: Yeah, most often times that’s going to be easier. Again, it’s going to be larger lot sizes, and some cases depending on where you at, places in Texas, which tends to be a little more subdivision-friendly I think. There’s even exemptions for certain lot sizes. So, if you’re doing five acre lots, for example, the process is a little bit different and more streamlined than in other places. California, for example, is a little bit more strict and that’s not too surprising. It’s harder to get things done through California. In Texas for example, there are some exemptions that allow it to be a lot easier. Jill DeWit: I was thinking that. I feel like you have two extremes there. When you’re doing stuff in California, I bet there’s so many rules versus every time I do something in Texas there’s still a little bit of good old boys … A little more relaxed, and I like that. Mike Marshall: Oh, absolutely. It’s a much different situation, obviously. I would deal with property owners that would be able to get things done in easily half the time compared to California. Unfortunately, a lot of times it comes down to knowing the process and knowing the players that are involved and that’s been some of the value that I’ve been able to bring, especially here in California, just being able to know some of the players, being in the planning profession for so long, you kind of know some of the usual suspects. Jill DeWit: Have you worked with counties all over California or do you do pretty much do mostly southern, which I would think is probably strict. Mike Marshall: Yeah, it tends to be mostly southern. I’ve done some things in far up northern California. Humboldt, Mendocino, Del Norte counties like that, but predominantly it’s been down here in southern California, County of Los Angeles and also city of LA, for some infill lots and things like that. Jack Butala: So going to Texas to parcel split a property is probably a treat for you. Mike Marshall: Oh absolutely. I would do that all day long and not even think twice about it. It’s just a different animal, obviously. Sometimes in Texas it’s a little bit interesting because they have, like in the Austin area, you’ll have the city, but then you’ll also have what they call these extra-territorial jurisdictions and you have to get subdivision approvals from two different agencies. That becomes problematic sometimes especially if the two agencies aren’t very friendly, and that’s kind of the case in some instances. Jill DeWit: Will you give us a little bit of your background? I want to catch everybody up on how you got here, because I love it. Mike Marshall: Sure. Absolutely. My first experience in real estate I was probably about 12 years old or so. My dad and his coworker started buying single-family houses in a town about 30 miles away from where we lived. He was buying single-family, buying multi-family and basically fixing them and managing them on their own, so I ended up being out there with them, and doing re-roofing projects and things like that as best I could at that age. So that was my first experience into real estate, and I really quickly learned that really wasn’t my cup of tea. Again, there’s various different ways of getting into real estate obviously, and not every one of those is going to be for everybody. For me, I quickly learned that I was going to probably be interested in real estate but that it was going to be in a different realm. Moving through college, I diverged and went in a different direction. I ended up working for a municipality here in southern California, but it was in the field of recreation. So it was like working with kids and camps and things of that nature. I always had this interest in real estate, so I just navigated my way through the organization, got into planning, land use and zoning. From there it just kind of took off, and I ended up going to Texas for a couple years working out there, and then ultimately coming back to California, but as you mentioned, working on small subdivisions, large subdivisions, various commercial projects as well along the way. So everything for land use entitlements and things of that nature all came part and parcel. A lot of different experience along the way, but I’ve been able to kind of focus my preferences in terms of what I’d like to do investment wise and that’s moving into more land investing myself. Jack Butala: Sounds pretty familiar, Jill. Jack Butala: No, for both of us. Jill DeWit: I was going to say [crosstalk 00:07:39]. 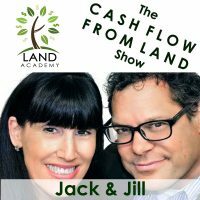 Jack Butala: For our listeners, here’s why splitting up property is so important from a profitability standpoint, here’s an over-simplified example, in our group we regularly buy property for 100 dollars an acre, so Jill and I weekly, sometimes monthly purchase 40 acre property for 4,000 dollars. 100 dollars an acre. So theoretically … now, you’re into this asset for four grand. Theoretically, you split it up, with not too much work, into one acre properties, which is … I’m over-simplifying, and you sell each of those properties for 1,000 dollars, now you’ve got a 40,000 dollar asset that you paid 4,000 dollars for. So that’s why … Now you can multiply that and use your imagination as a listener about why splitting property can be so incredibly profitable. Sometimes immediately profitable. Jack Butala: We’re from here. We’re not used to that. Mike Marshall: I’ve been able to get an exactly what we want, but never quite when we want it. It’s tough. It depends … Each jurisdiction’s different and it really does come down to relationships more often than not, and going in there and creating those relationships is really what’s going to help. I have examples of that. One of them, there was a relatively smaller subdivision. It was a 12 unit residential project in an urbanized area, but it was just these leftover remaining parcels. In portions of northern LA County there’s communities that were very equestrian and rural in nature, and over time they’ve just become overdeveloped, or not overdeveloped but just at the level with residential development and so you have this mix-mash of different things going on. So there are these remanent properties out there, where you’ll have a small, single-family house that’s sitting on nearly a full acre of property in the middle of these dense residential subdivisions, so when you find those, those tend to be like little pieces of gold. So we found one and we started to work on it, and ultimately it didn’t work out. We were only able to get the 12 units done. It’s an interesting thing, because when you get into these more urbanized environments, there’s multiple layers of zoning and so you may have something that seems really simple on the surface, but it has these things called zoning overlays that lay on top of it. You may allow for residential development, which is great, but then they have … It may sit within an equestrian district, for example, so you have to make certain accommodations for that, or it’s within a specific plan area, so you have to do certain accommodations for that regarding architecture and things of that nature. It becomes political, unfortunately at times, so you end up having a variety of boards that you have to go through and get approvals and you have to get the approval of the community or the blessing of the community before you really will get the ultimate blessing of the planning commission in this instance. In this example, it was a situation of creating the relationships on the front end. Talking with neighbors, letting them know what we wanted to do, what we’re looking to do. Make sure they understood that we weren’t trying to drastically change their neighborhood for the worse, but it really does come down to the relationships and time that’s involved. Unfortunately with development there’s a lot of uncertainty. I’ve heard you talk about this a lot, Jack, as well. It’s the uncertainty, and that leads to risk, and you’re trying to really do everything in terms of market timing as well, in the development realm, and that’s great when it works out really well but not so much if it doesn’t. That’s kind of the scenario. So this was a relatively recent project. We got the subdivision through. We got all the houses built, and they’re just about ready to finish selling the last two of them right now. Jack Butala: Wow. That’s actually a pretty good story. You crash-crammed 12 houses on an acre, huh? Mike Marshall: Ultimately it was just over an acre. We ended up getting a smaller adjacent parcel that was probably … All total it was about 1.5 acres. Jack Butala: Okay. That’s about three thousand … after easements probably 25 hundred square foot a lot, right? Mike Marshall: Exactly. It’s right in that realm. So that’s the interesting thing, you have these larger parcels that are sitting out there, but the zoning has been changed for so long, because nobody’s gone in and really taken advantage of that. It takes a lot of convincing sometimes, so it’s great when it works out, but it’s a lot of work on the front end for sure. Jill DeWit: Yeah. You’re proving my theory. You’ve got to make friends, and then once you make friends, then you want to do it again and again and again. Jill DeWit: Is this your recipe now for some right in that area? Mike Marshall: Yeah, we’re always looking for something in that area, just because we’re familiar, and like you were mentioning, we have those relationships now that we can really utilize to our advantage. So, that’s something that we’re constantly doing. Trying not to reinvent the wheel in terms of that. The challenge to is that you’re always dealing with pending ordinances or legislation from the state that make it a little bit more challenging to get projects through. In LA County there’s been a lot of push against rezoning property and there’s just a constant battle between providing affordable housing versus actually allowing for a developer and landowners to maximize their rights. It’s this really big push and pull going on right now that’s really resulting in some stagnation in development. Jack Butala: I know you haven’t been a Land Investors member for that long, you are a member right, Jill? Jill DeWit: Oh, are you? Mike Marshall: Not yet [crosstalk 00:13:48]. I’m finishing these projects and then I’m moving on. Jill DeWit: Oh, he will be. Jack Butala: Call Jill before you do it because she’ll give you a good break on the price. I hope that you’re going to send letters out, based on what we talk about all the time. Send a bunch of letters out in North LA County or whatever market you’ve got identified and utilize these relationships to do more deals. Mike Marshall: Oh, absolutely. That’s definitely part of the plan. I heard one of your episodes awhile ago, and there was somebody you were working with that was looking at infill lots to do parking lots, I think it was. It’s just this one little tiny niche, but it really resonates with me, too. The business model end itself, in terms of the lack of tenants, the lack of structures, just a low-maintenance, low-management is obviously really appealing. Things like that are really interesting, so I’ve been able to identify some of those zones that we can actually play off of that. That’s definitely a part of the plan. Jack Butala: I came from a commercial real estate background too. It ultimately led to me developing this whole concept of buying land and then just reselling it because if you have to start going vertical on it, building stuff and running through entitlements … it’s just so complicated. Start to finish, how long did the project you just described take? Mike Marshall: From the time the investment group acquired the property, til today, it’s probably been two and a half years. Jack Butala: Yeah. We used to do long-term care health care transactions and it would take a year, and it takes 30 to 45 days … I call it cash in cash out, the way that we do it now, and every single deal is the same. It’s exactly the same. The only variable is the actual property, but we’re buying it for cash and we’re selling it for cash on the internet. Mike Marshall: Right, absolutely. The model’s really appealing, and for me it’s looking to take the knowledge and experience that I have and just apply it in a different way. One of the things I do like the most about the work that I’ve done is really helping people. I’ve come to find out that a lot of people are out there looking for a different property and there’s just not a lot of expertise and experience out there to really help them out. 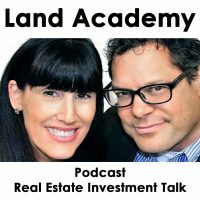 Love them and everything, but realtors often times don’t really know much about land and don’t know much about zoning and land use and things of that nature. Unfortunately a lot of buyers are really relying on their expertise and we end up getting caught up in the mix and trying to really help people and provide some expertise where there’s just not a lot of it out there. 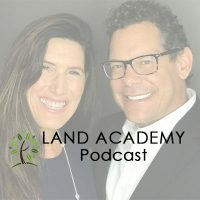 Jack Butala: When we started Land Academy, and it was really Jill’s idea originally … because we were chugging along, doing great, buying and selling our own real estate as we are now. When we started it we did it to give back, so to speak, and it just caused a deluge. It’s an untapped lust that people want to learn about land. It’s just amazing. You’re a great example. You’re doing great at some stuff, but there can be and there is a better way. Mike Marshall: I think the thing that you guys do that speaks to me is that everything is data-driven. The basis of everything being the data. I’ve told people before that to me it’s not so much about the property … I mean jeez, if I could do the same thing with peanuts as I can do with real estate I would probably do it. I’m more into the numbers and into the data of it, and into that whole mechanism. I think that’s what’s really appealing to me, and being able to share the knowledge and experience. I would love for there to be a platform where people can actually go and not only get the zoning for a property but understand what that really actually means, and it’s so unique and different to each jurisdiction and it becomes very challenging for people to really understand that. And just to understand that an R1 zone in one city is not an R1 zone in another city and it can be completely different. Jill DeWit: That’s great. You’re right. Most county websites are lacking information. All you find is the R1 and it says “rural residential” or it might say “up to X units.” That’s all you get. Have you been on the receiving end of phone calls? What’s it like when people are looking for more information from you guys? Mike Marshall: Generally what happens is that we’ll get a referral. It’s usually from an agent. One of the ways we end up reaching out … I’ll go out and meet with different agents, tell them what it is that I do, and then we get referrals from them. From there somebody will call and say, “Hey, I’m looking at this piece of property. What is it that I can do with it?” Or sometimes they’ll have a use that they want to put on the property and they just want to know, “Can I actually do that?” It’s that kind of general inquiry that will happen. Then from there I’ll just end up doing their research. I’ll start with research online and actually going through their code, but what’s interesting too is that it’s one thing what the code actually says and then there’s another thing about how the jurisdiction interprets the code and then applies the code on a daily basis. So that’s where the nuance comes in, and understanding what questions to ask and what buttons to push. Jack Butala: Brilliant. I mean I love your specialization. Like I said earlier, the economics … We have a couple members in our group that are subdividing 3,000 acre parcels and when they get it done … they’re not subdividing it, they were just splitting it. There’s a pretty big difference. As you know, and when they’re done with this … And it’s going to take two years for them to sell out, but they’ll be done. I mean they’ll be done financially in their life. On one deal, without any debt. Jack Butala: It’s in Texas, by the way. It’s staggering what’s possible, so you’ve got to be kind of stoked to … Within Land Investors group, do you want to just start to do your own deals? Mike Marshall: Yeah. That’s kind of where I want to go with it. Do my own deals. Basically start off as if I was esentially new to the whole thing. Just absorb all the information that I can and then get right to it. I have a little bit of a unique position just based on experience and then also contacts that I have, where I have money investors that are willing to put money down, I just got to get out there and find the deals. So I have a little bit of a start in that sense. Jack Butala: You came to the right place. Jill DeWit: Yeah. That’s our area. We always joke about it. People go, “Why don’t you guys talk about sales?” Because I don’t need to. It’s not a problem, and when you buy it right it all just goes easy. That’s what we do well. Jack Butala: We have at any given time three or four hundred deals that we’re reviewing, and there’s no way we can do them all. We’re probably 30 to 60 days away from launching landcrowdfund.com, I hope … You mentioned having a portal, like a zoning portal. A single area where you can go to get real good real-time information. I’m hoping that this website will kind of solve that. It will solve the issue of finding money to do the deals that you already have signed up. Jack Butala: That’s great stuff. Do you have any questions for us, Mike? Mike Marshall: You know, I didn’t come prepared with questions for you guys, I just wanted to be able to say that I’m available. I’m on the Land Investors site, I’m happy to help out anybody that has any questions, and provide information or direction, guidance. A big part for me is just being able to share the knowledge and help people out as best I can. If there’s an opportunity to do a deal together, that’d be great, but if somebody’s just looking for direction I’m more than happy to do that as well. Jill DeWit: Awesome. When you are officially in, you’ll get in the back … We call it our deal board, and that’s where these transactions are going on. We all have people say, “Hey, I just acquired X acres over here, who wants in?” Then we have, “I have a buyer who’s looking for X. What do you have?” And so we’re sharing deals like that in the back end, so you’ll have access to all that. They will love to have you. Mike Marshall: Wonderful. That’s great. Jack Butala: Mike, thank you so much for being on the show. Apparently, is there a place where we can find you other than on landinvestors.com? Jack Butala: Join us in another episode with Jack and Jill we’ll discuss how to use information … That’s me. Jill DeWit: And inspiration … That’s me. Jack Butala: Hey, Mike. Is this what you expected? Mike Marshall: Yeah, no. It was good. I was a little nervous going in, I was like, “Oh Jeez, am I going to stumble?” I have a tendency just to ramble on and on with this stuff. When you have an interest and passion you’ll just keep going on forever, but it was great. I really appreciate the opportunity. Jack Butala: I’ll be calling you. We’ve got a bunch of property in Texas and I’ll be contacting you. Mike Marshall: That’d be great. Looking forward to it. Happy to help. Jack Butala: That’s great man.